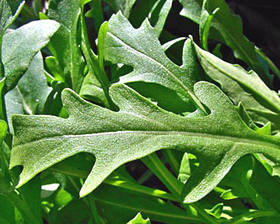 Salad leaves with a distinctly spicy, peppery flavour that can be harvested as a cut-and-come again by snipping the leaves off with scissors at 15cm high. 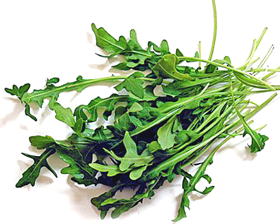 Rocket can be used raw in salads or cooked lightly when it makes a delicious spinach substitute. Late summer sowings of Rocket will carry on cropping into the winter if the plants are protected by cloches. Sow seeds from April to July in any good fertile, well drained soil. Sow seeds thinly 6mm deep in drills spaced 45-60cm apart.